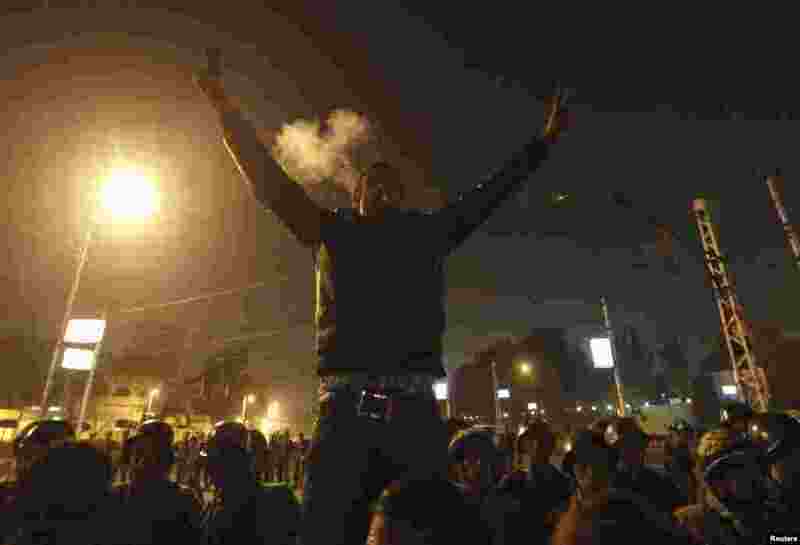 Opponents and supporters of Egyptian President Mohamed Morsi have taken to the streets of Cairo for another day of protests. 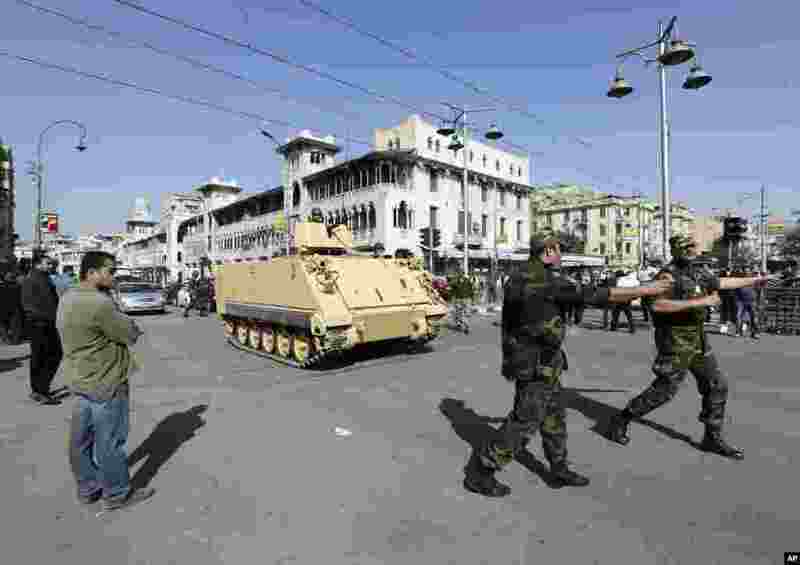 1 Egyptian army tanks secure the perimeter of the presidential palace while protesters gather chanting anti-President Mohamed Morsi slogans, Cairo, Egypt, December 7, 2012. 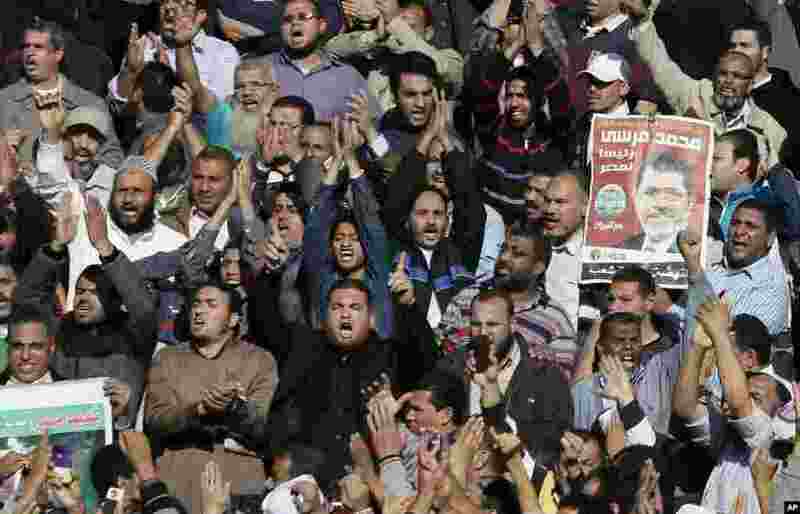 2 Supporters of the Muslim Brotherhood and Egyptian President Mohamed Morsi chant slogans during the funeral of three victims who were killed during Wednesday's clashes outside Al-Azhar mosque, Cairo, Egypt, December 7, 2012. 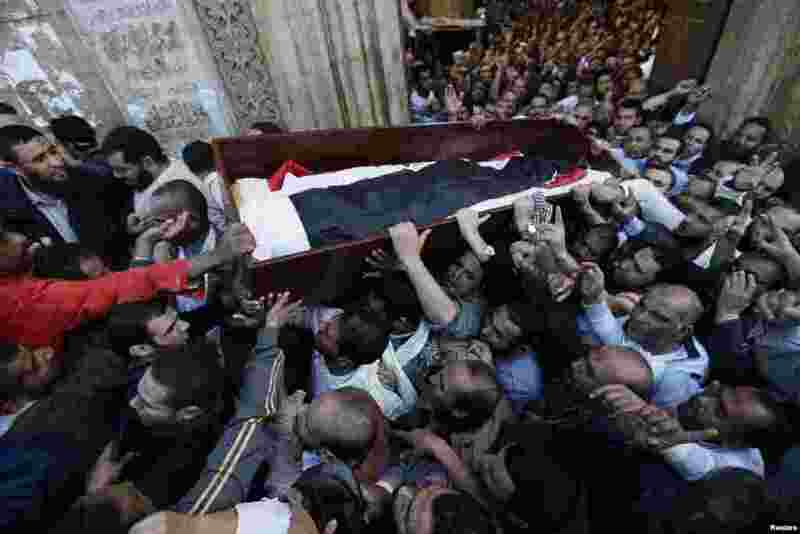 3 Supporters of the Muslim Brotherhood and Egyptian President Mohamed Morsi carry a body of one of six victims killed during Wednesday's clashes, Al Azhar mosque, Cairo, Egypt, December 7, 2012. 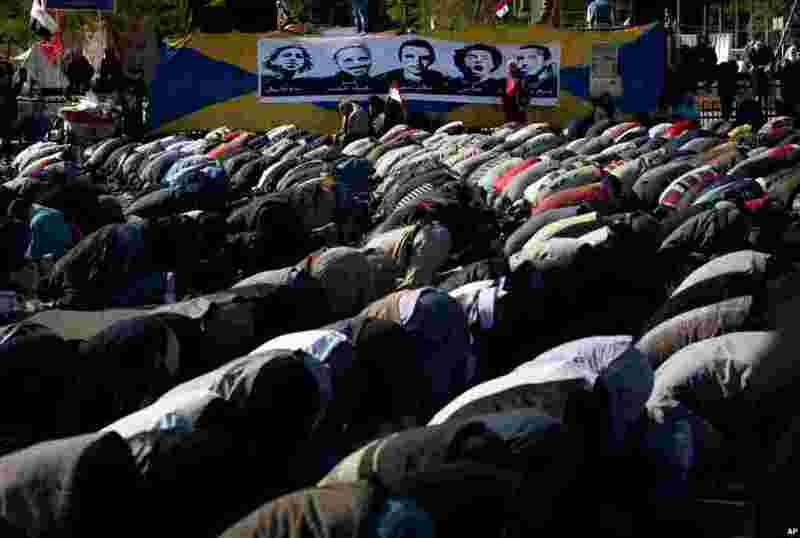 4 Protesters opposing president Mohamed Morsi attend Friday prayers beneath a poster depicting protesters killed in the Egyptian revolution, Tahrir Square, Cairo, Egypt, December 7, 2012. 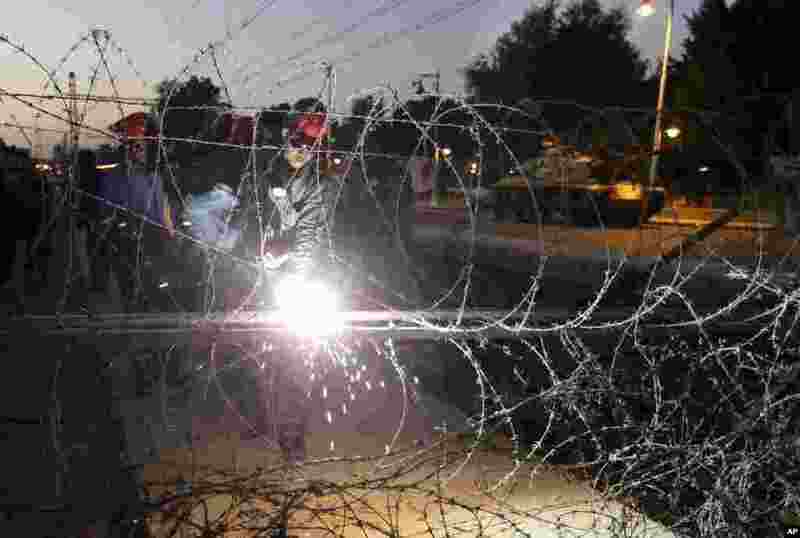 5 An anti-Morsi protester smokes a cigarette and and gestures in front of members of the Republican Guard blocking a road to the presidential palace in Cairo, Egypt, December 6, 2012. 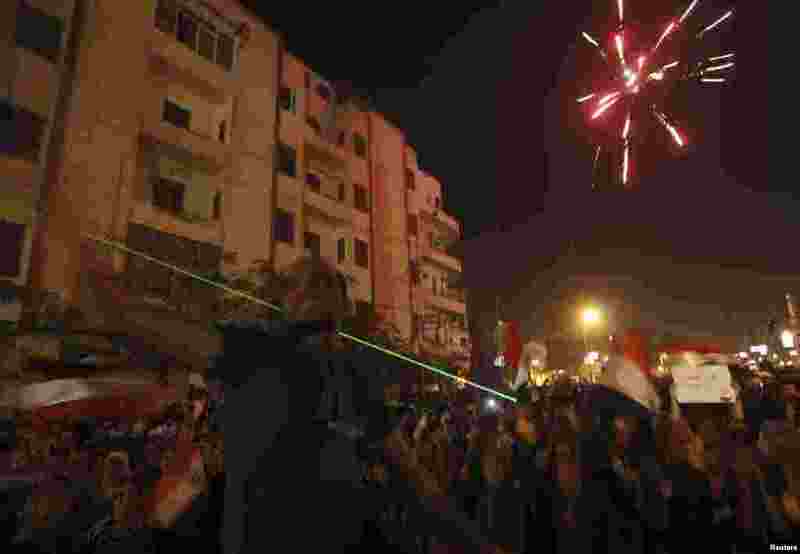 6 Anti-Morsi protesters set off fireworks and shine laser pointers on a road leading to the presidential palace in Cairo, Egypt, December 6, 2012. 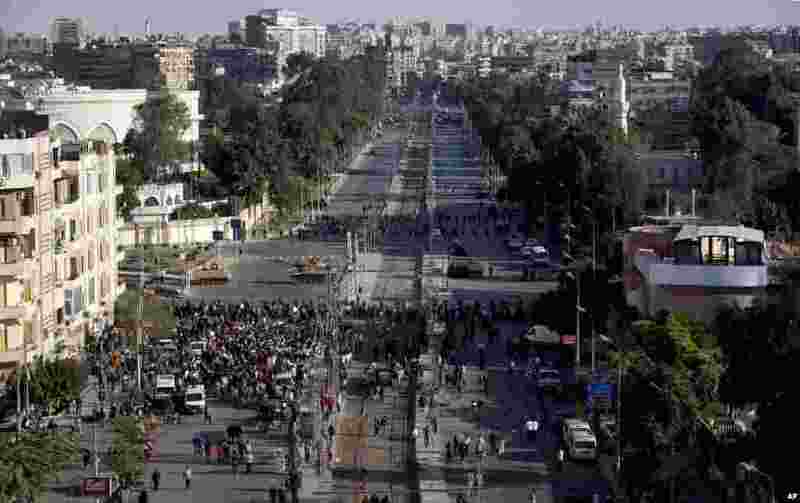 8 The Egyptian Army deploys near the presidential palace after clashes between supporters and opponents of President Mohamed Morsi in Cairo, Egypt, December 6, 2012. 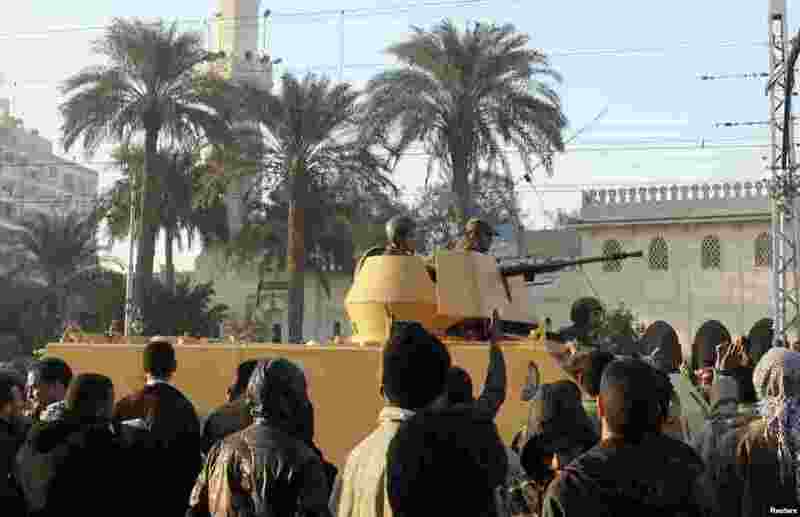 9 Supporters of the Muslim Brotherhood welcome tanks arriving outside the Egyptian presidential palace in Cairo, December 6, 2012. 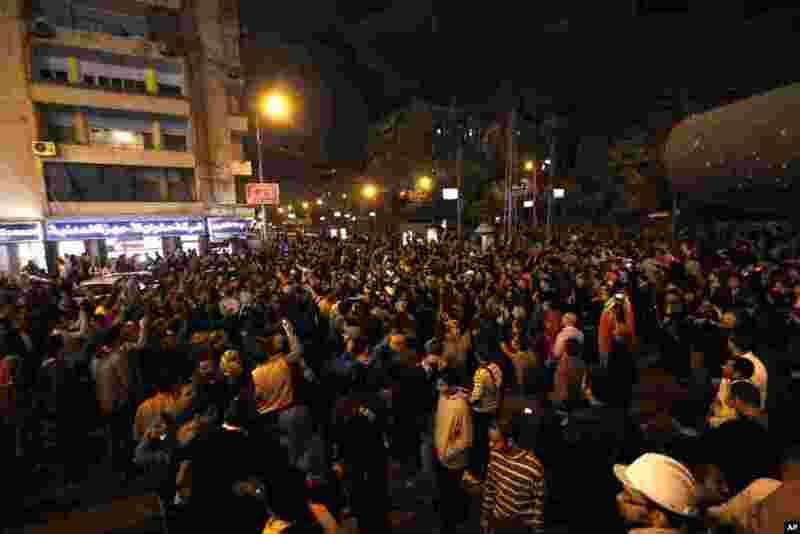 10 Protesters gather during clashes between supporters and opponents of Egyptian President Mohamed Morsi outside the presidential palace in Cairo, Egypt, December 5, 2012. 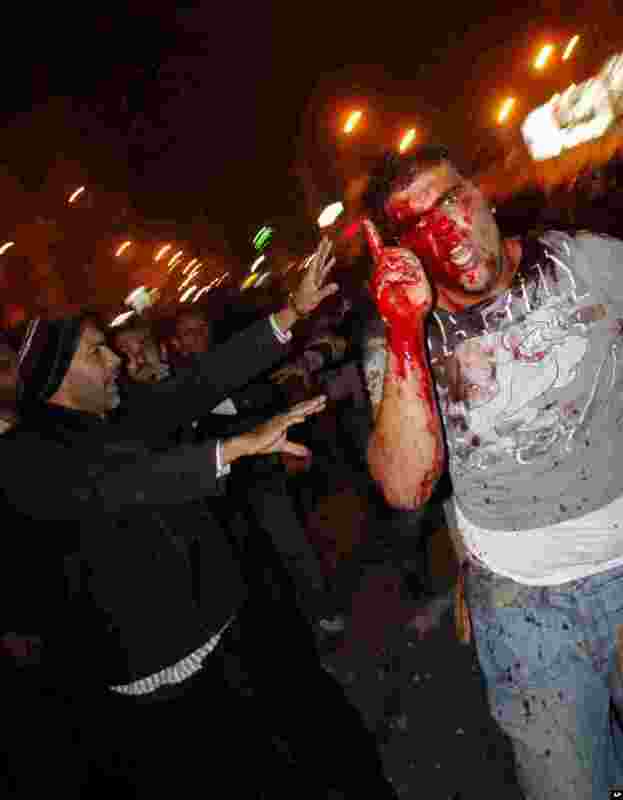 11 A wounded protester reacts during clashes between supporters and opponents of Egyptian President Mohamed Morsi outside the presidential palace in Cairo, December 5, 2012. 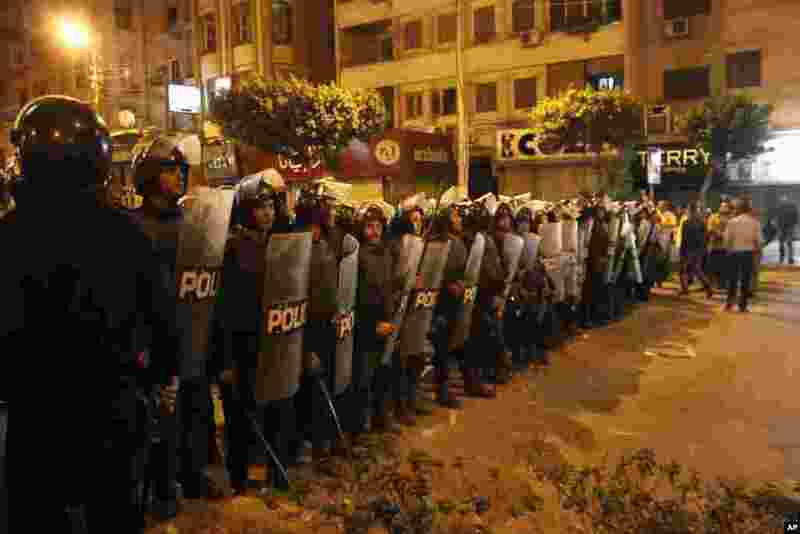 12 Riot police stand guard during clashes between supporters and opponents of Egyptian President Mohammed Morsi outside the presidential palace in Cairo, December 5, 2012.